Despite the existence of numerous debt charities and government schemes to help financially struggling people, many folks who are in over their heads in debt simply don’t realise they have a debt problem, or they haven’t faced up to how bad the problem really is. Accordingly they don’t seek help, and generally end up even deeper in the debt hole. Earlier in 2016 the Money Advice Trust, the charity that runs the free National Debtline advice service, cited a change in the UK’s personal debt landscape that has contributed to this denial. Many people think of problem debt as being associated with loans, overdrafts or credit cards. They don’t consider falling behind on household bills such as utility bills and council tax as being a problem worthy of seeking advice from debt charities, possibly because they don’t see such liabilities as being part of a debt problem. Yet arrears in these household expenses have increased significantly in the years since the financial crisis. While calls to the Trust concerning problems with credit cards, loans, and other traditional types of debt have decreased significantly over the last seven years, calls about problems with household expenses such as utilities and taxes have increased by 140 percent. And even though the government’s Money Advice Service has estimated that around nine million folks in the UK are over-indebted, only about 17 percent are seeking advice to deal with their debt. But debt can become a problem whether you are in arrears on your council tax or your credit card bills. Very simply put, you’re not likely to get out of debt if you don’t face up to the issue. It’s somewhat like the first step in the twelve-step programs such as Alcoholics Anonymous: you have to first admit you have a problem before you can do anything about it. Can you borrow your way out of debt? Although it may seem counter-intuitive to take on more debt in order to solve problem debt, it is sometimes feasible. Debts to utilities companies and taxing agencies come under different regulations than do loans and credit cards, and the penalties, fees, and interest that such debts incur can be higher than what is charged on more conventional debts such as loans. In addition, falling behind on phone, electrical, or water service can rapidly result in suspension or termination of that critical service, with a significant cost to have the service reinstated or a new account opened. 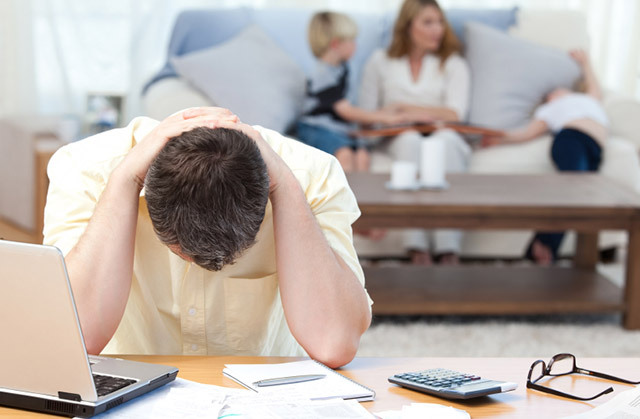 While it is important to keep current on all your debts, a default on payments to one of these critical services can have immediate and severe repercussions that directly affect your quality of life. In such cases, incurring a loan with which to bring the expenses current can be a viable option, and even your best option. If you do find yourself in the position of having to incur additional debt to meet an existing debt, finding the least expensive loan that has terms you can meet is essential if you are to have any chance of climbing out of the debt hole in which you find yourself. If you are struggling to get out from under a relatively small one-time debt, a payday loan might suffice. If the amount is more than you can afford to repay in a single payment in the short term, an instalment loan that allows you to spread the payments over a longer period, up to 24 months, might be a better fit. And since different lenders offer different incentives, you will want to do your homework and compare what different lenders charge and the terms they offer before you start making applications for their loans.